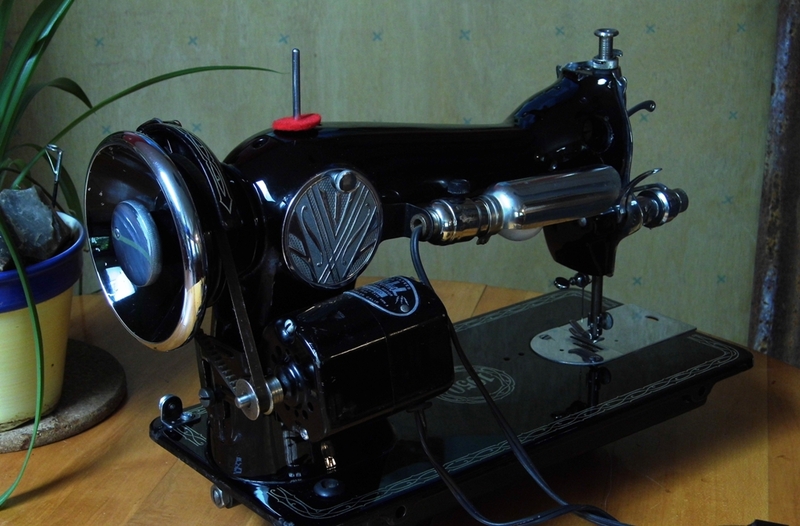 This beautiful Japanese sewing machine has just come off our restoration bench and she's running and sewing like a new machine. We've been deep inside her to get to the old, sticky oil and dirt so she's clean, clean, clean through and through. 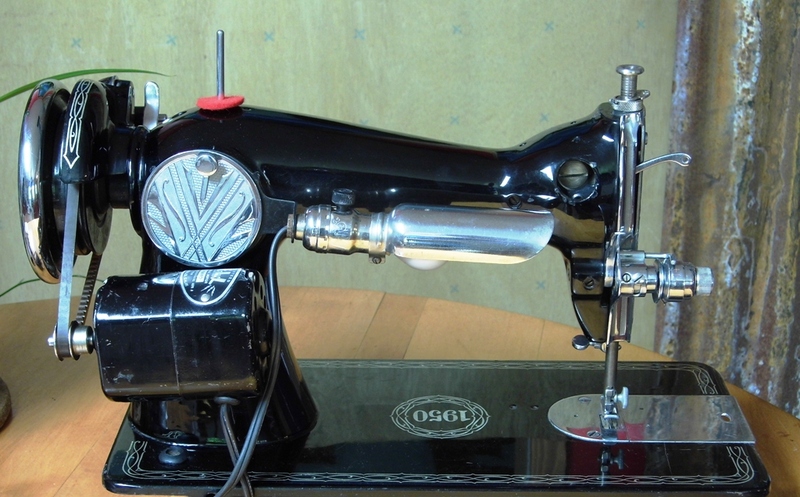 We've taken apart the tensions, the motor, the needle and presser bars and all their linkages, and more and scrubbed the parts in an alcohol bath before polishing and restoring them to the machine. 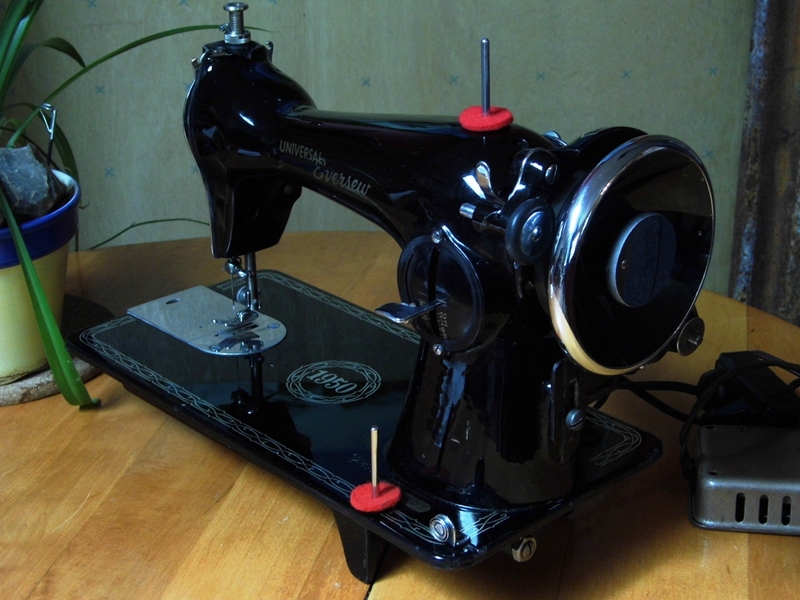 She's a straight-stitch machine with lots of power and she uses universal needles and standard class 15 bobbins, the most common in the world and available everywhere. 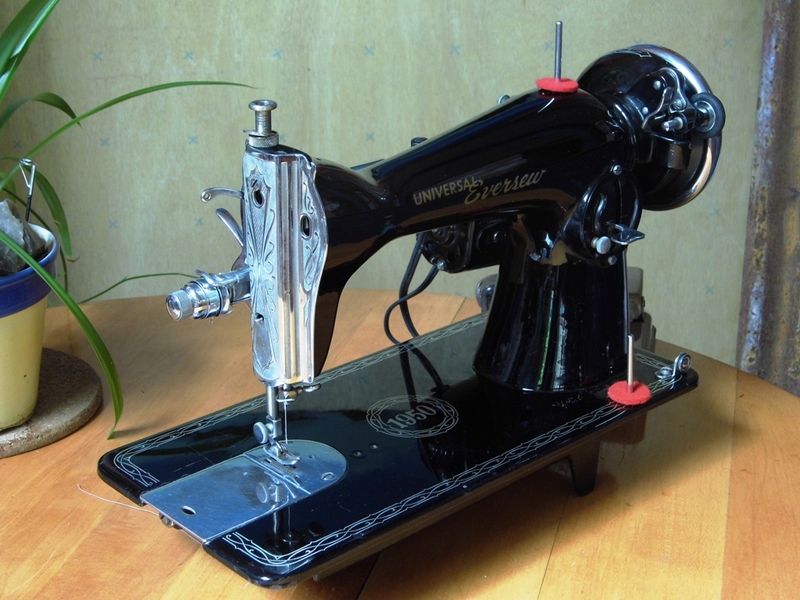 If you're familiar with vintage sewing machines you probably know the Univeral brand as high quality, precision machinery and this Universal will not disappoint you. 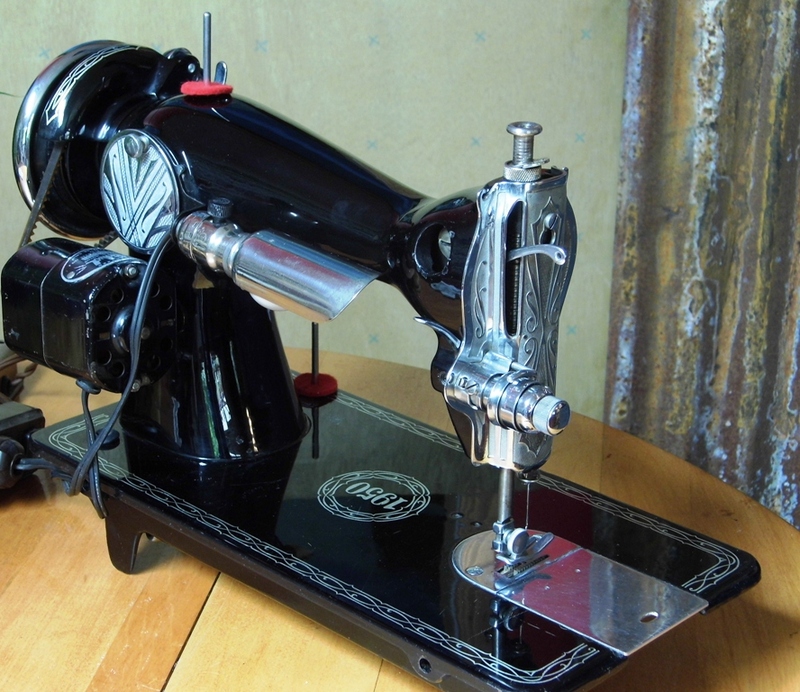 To make this fine Universal machine yours, just click on the Buy button Below.